« Burma, a Country United by Hatred and Murder? I recently reviewed the quite unique Bangkok Publishing House in The Daily Telegraph. The Bangkok Publishing Residence is a unique property, a one-off, and a very personable hotel experience. The building started as a row of 1960s shophouses, though most of the walls and floors have been removed, creating a beautifully open ground-floor space that’s designed like an atrium and reaches up to the fourth floor. Garish Thai Weekly magazine covers, typesetting sorts, shelves of magazine back issues, family collectables and weird objets d’art have been lovingly assembled to make the property come to life. 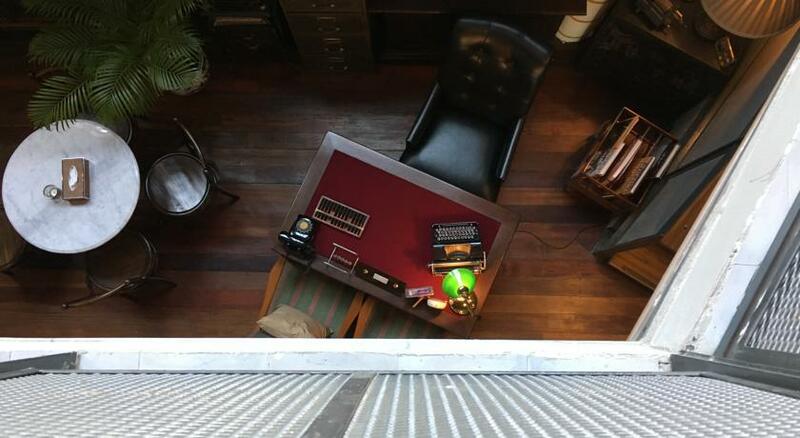 There’s a piano for guests, the leather couches are comfortable and nicely worn and while the metal lift is new, it looks like part of a set from an old Noir movie.